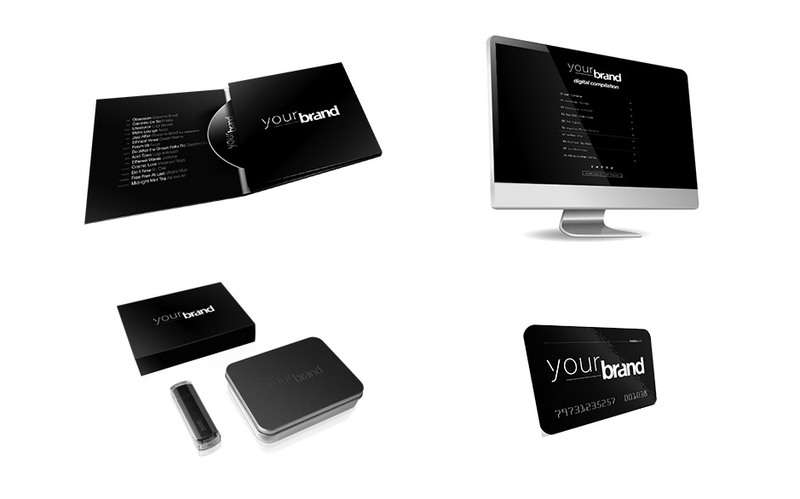 BRAND COMPILATION ON CD: this is an actual record production, both the audio contents and packaging can be customised. A powerful tool in pushing the brand as it is often played and passed among friends, generating a very high number of contacts. MEDIA CARD: this looks like a credit card, and can be completely personalised; a secret code printed on the pack allows the owner to access a multimedia area where he can download or watch/listen music, video, photo, documents and much more, in streaming. You can include a presentation video in the access area to inform the client of all the exclusive advantages and contents available only to the cardholder. All the activities linked to the card are monitored, generating demographic and database information that shows statistics relating to visits generated by the cards, data of the registered users and gives access to detailed information about the activities of each individual card.